Who doesn't love stocking up on beauty bits? 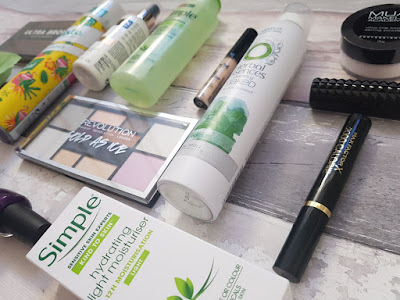 I had literally run out of everything so was in a desperate need of restocking but I decided to not only grab some of my usual favourites but try a few new things too. From skincare to lipstick and hair masks to dry shampoo, I bought loads! I'm one of those girls who heads to boots and ends up not only buying what I went in for but £100 worth of other stuff too. How can people resist those gorgeous lipsticks or the amazing deals on shampoo?! Thankfully I was lucky enough to be contacted by Chemist 4 U who offered me £30 on their website and not only was it super easy to use but I got loads for the budget! It all arrived really quickly and well packaged and the prices were fab compared to what I'd usually pay for some of the items I buy a lot. So for the £30 I got Simply Cleansing Facial Wipes, Simple Soothing Facial Toner, Simple Hydrating Light Moisturiser (I use these all the time! ), an OPI nail polish in the shade 'I Carol About You', Cutex Acetone Free Nail Varnish Remover, Batiste Dry Shampoo in Tropical, Max Factor 2000 Calorie Mascara, Macadamia Oil Hair Mask and Herbal Essences Nearly Naked Dry Shampoo. Whew! I can't believe I managed to get so many items considering an OPI polish alone can set you back £10+. 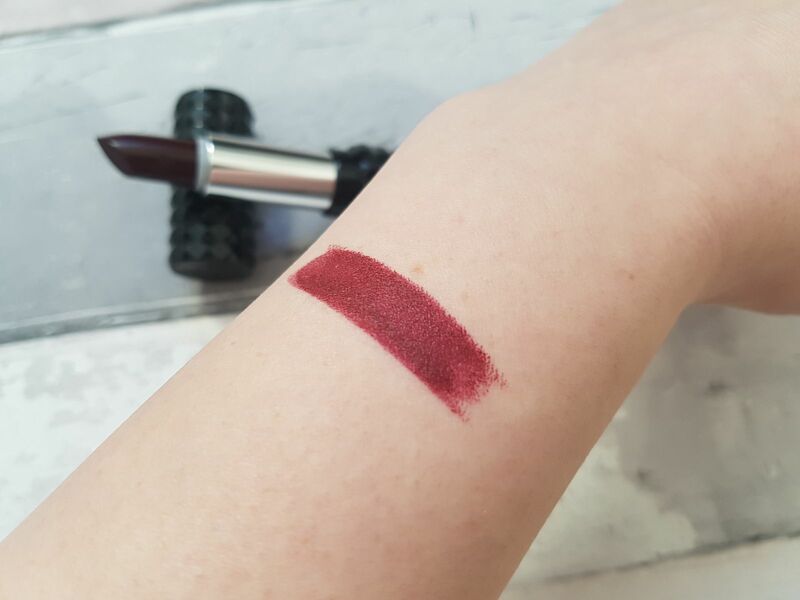 I didn't really 'do' Black Friday this year but I did manage to get my paws on a Kat Von D Studded Kiss Lipstick in the shade Vampira for a mere £10 instead of £17 thanks to Debenhams and because I used my Top Cash Back account I even got a little extra back from my purchase too! I've wanted to try her lipstick for ages as I adore the Contour palette but as I'm not a massive lippy wearer I've never been able to part with £17. However this might be my game changer! Not only is the packaging utterly adorable but the colour is incredible and it lasts like an utter dream. 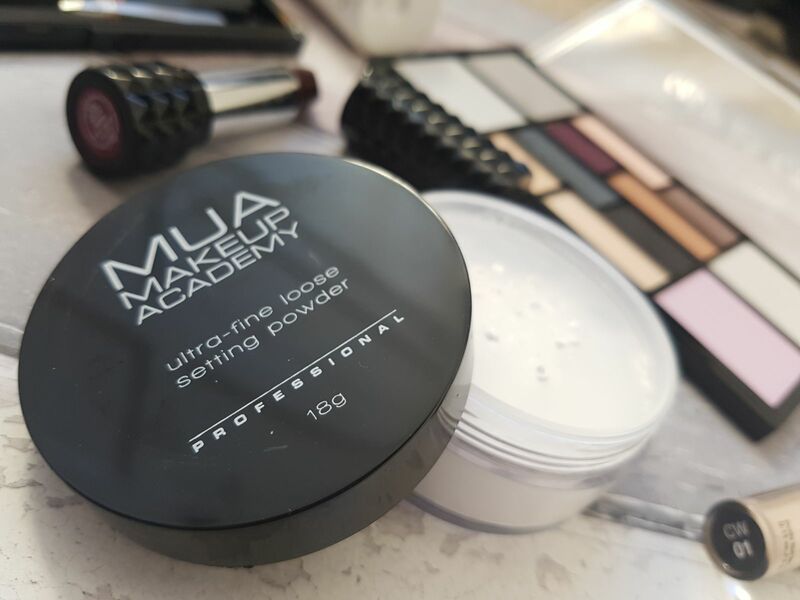 I also was in need of a few makeup bits so I purchased MUA loose setting powder, NYX Matt Liquid Eyeliner (which is incredible! 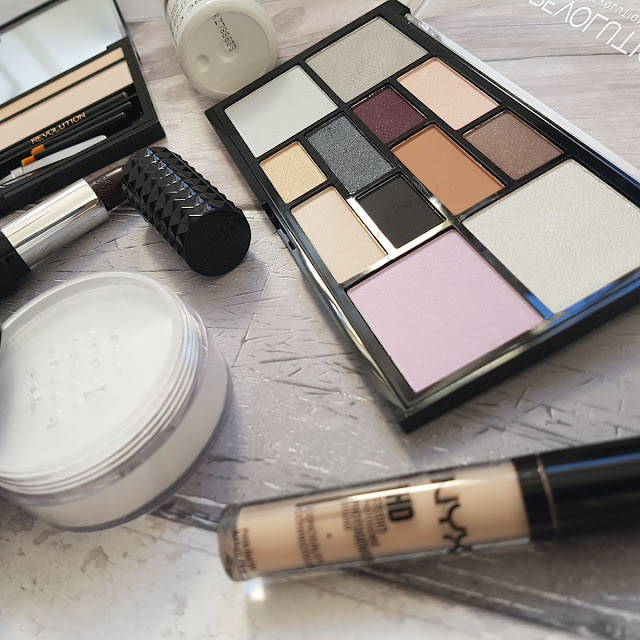 ), NYX Concealer, Makeup Revolution Setting Spray (it's £5 and uh-mazing), Makeup Revolution Ultra Brow and I received a free eyeshadow palette called Cold As Ice from Makeup Revolution. I have found that the NYX products don't last me as long as my previous Rimmel ones did BUT I really prefer them. I used to use Rimmels Erase Eye Concealer which don't get me wrong, is totally worth the rave reviews, it covers virtually anything, stays in place and is so easy to use but I've fallen head over heels with the NYX one. 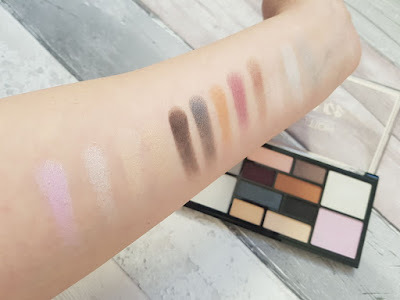 It's really pigmented so again covers anything (even sleepless nights due to teething babies....), blends like an utter dream and due to the doe foot applicator it's super easy to get exactly where you want it. I also use to use Rimmels Glam Eyes Liquid Liner, which again is a fab product but I've found the NYX one has so much more staying power. It's not waterproof but doesn't budge and I haven't found that it crumbles or cracks during the day. I live for black eyeliner and I've tried hundreds over the years and so far this is the best I've found. I've got to talk about the free Makeup Revolution eyeshadow palette I got haven't I? I'm not the biggest eyeshadow girl and I am trying to change it so I was super pleased to get one for free! It contains 12 shadows which I think are perfect for the winter season with gorgeous shimmery whites and greys to full on blacks, reds and browns. I've been wearing the greys quite a lot but I'm hoping to try a red and black eye look teamed with the Kat Von D lippy for a totally out there full face, something I very rarely do. I'm more of an eyes or lips kinda gal! 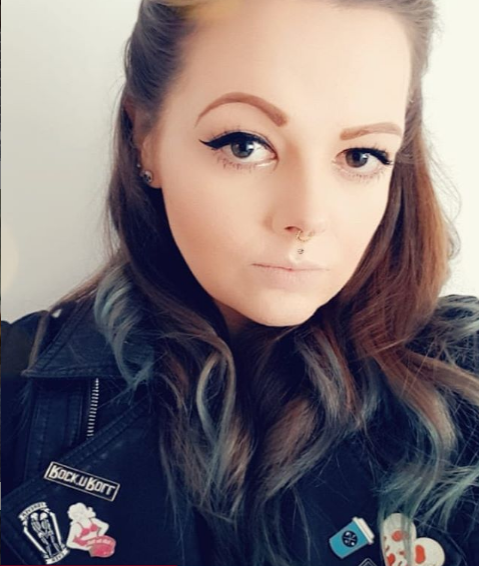 I've really got back into my makeup and beauty at the moment, maybe it's because I'm spending more time indoors enjoying the warmth but it's been lovely to rediscover my passion for playing with makeup. I'm hoping it's something that will continue throughout the winter just so I'll get the chance to wear some of these beauts again! 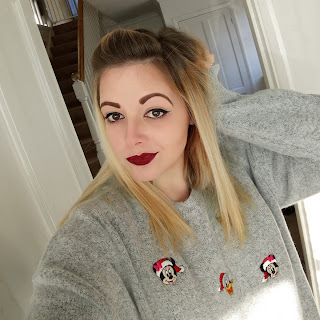 I'm off to Disney on the 4th December, so I'm hoping I can wear my new lippy almost non-stop as it's the perfect Minnie Mouse ear addition! What do you think of the bits I've picked up? Do you have any suggestions for other similar products? I'd love to hear your thoughts!